Marijuana was first mentioned thousands of years ago in BC-dated Chinese documentation. For centuries, marijuana was used for medicinal purposes throughout Europe and Asia. Centuries later, Spanish travelers brought marijuana to the New World. The English introduced marijuana to the United States by way of Jamestown in 1611. It was grown as a commercial crop and used as a source of fiber. By 1890, cotton became the major cash crop in the southern part of the United States. Marijuana was sparingly used as an ingredient in some medications. The drug made a resurgence in the 1920s, with people using it as a substitute for alcohol because of Prohibition. Many actors and jazz musicians relied on marijuana for a high. In the 1950s, it became popular with the members of the Beat Generation. By the 1960s, it was a mainstay among the youth and served as a symbol of rebellion. 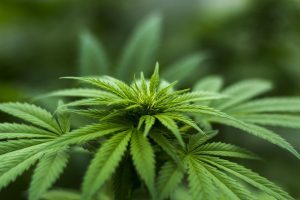 The Controlled Substances Act of 1970 put marijuana in the same category as heroin and LSD, claiming that it was a highly-abused substance with limited medical value. During the Reagan and Bush administrations, the U.S. government declared war on imported drugs, including marijuana. With less of the drug coming from other countries, people began to grow their marijuana locally, often in warm climate states. There are, obviously, thousands of more instances in history between those dates, but this short list shows the evolution of marijuana’s mainstream use. Today, marijuana is still illegal under federal law, although dozens of states have medical cannabis laws. There are many claims about marijuana’s medicinal properties. Others believed it was only used for euphoria. Some say it’s bad for the health because it causes mild to severe hallucination and other related diseases. But which really is true? Take a look at this infographic that presents the history of marijuana so you can decide for yourself.